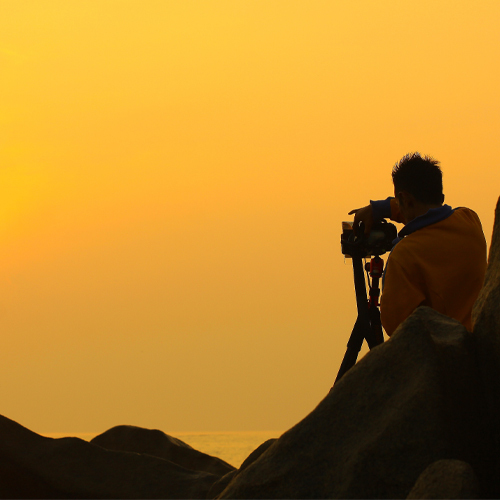 Load capacity: Will the tripod comfortably support your gear setup? Material: It’s a good idea to travel with a lightweight tripod that doesn’t add unnecessary strain. Carbon fibre tripods weigh 30% less than their aluminium counterparts. 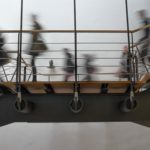 Maximum height: How tall should your stand be? This will depend on your height. The camera’s viewfinder should be at your eye level once placed in position to avoid having to hunch over. Folded length: The folded tripod should be able to fit in your hear bag without taking up too much space. Will it fit into your carry-on luggage? 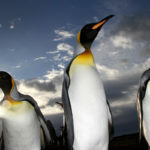 Feet: Sturdy rubberised or spiked tripod feet will keep your camera steady even on uneven terrain. 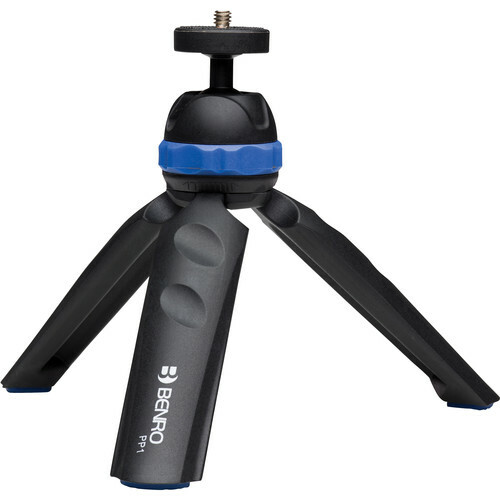 Stability: Go for a tripod that withstands wind, knocks and bumps when it is set up. QR system: To save time during setup, find an attachment system with a quality quick-release system. 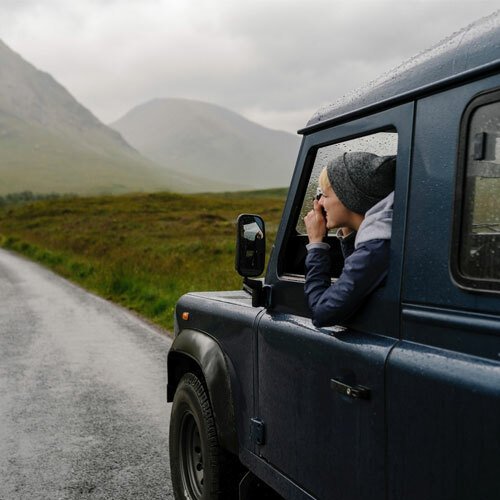 It’s not hard to see why an excited university graduate would want this MeFOTO RoadTrip S for their travels. Available in five bright colours, namely black, titanium, blue, red and green, it is bound to make any setup stand out. Roadtrip MeFoto tripods are compact, (weighing only 1.6kg), and thanks to a minimum folding length of 35.5cm and compact reverse folding design it will even fit into a carry-on for the active traveller. 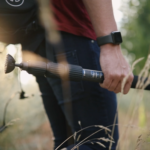 The RoadTrip S Travel Tripod from MeFOTO offers five-section support with aluminium legs and black anodised-aluminium twist locks that are knurled for a comfortable grip while opening and closing. 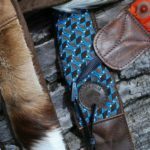 Looking to switch over to some monopod action? 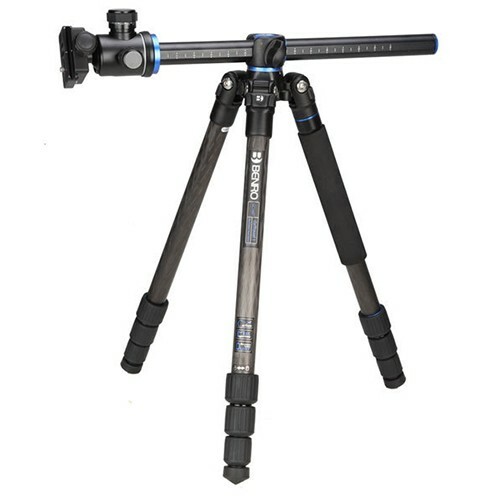 These tripods can be converted from photo tripod to monopod in minutes by combining one of the legs with the centre column. Featuring a dual-action ball head equipped with an Arca-Swiss style quick-release plate, panoramic shots are just a simple click away, especially with the help of its 360º panning capabilities. With a payload of up to 8kg, this tripod supports various setups such as, compact, DLSR and mirrorless cameras. 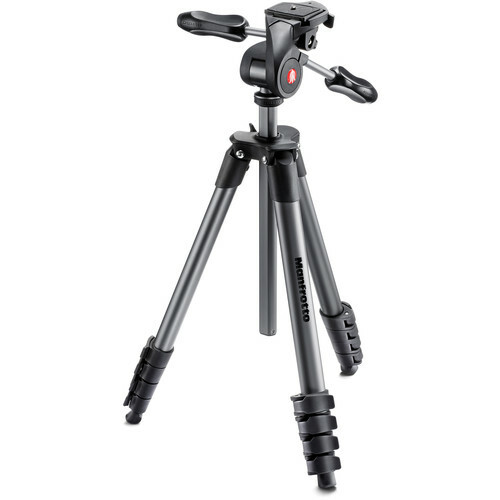 Extending from a mere 44.5cm to an impressive 165cm and featuring easily accessible flip locks, operating this tripod will be a breeze. With its clever foldable three-way head equipped with built-in ball head, you can set up and fold it away in no time. The tripod head has two ergonomic levers: one for panning or tilting and another for levelling. This aluminium tripod makes it easy for you to frame and shoot at a moment’s notice. Weighing only 1.4kg, you’ll hardly feel the extra weight to your travel gear. Supporting up to 3kg in gear, this tripod is ideal for entry-level DSLRs and a great start to your photographic journey. If you’re a serious explorer who opts for mountain climbing and intense hikes like the Otter Trail, then the Benro iTrip Kit is the best travel tripod for you. 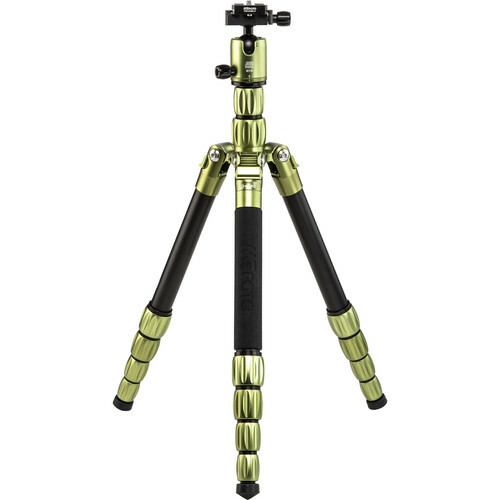 This aluminium tripod (with ball head equipped for Arca-Swiss style plates) is lightweight, extremely strong and made especially to meet the growing needs of adventure photographers who require well-built tripods. Don’t let the impressive 4kg load capacity and a maximum height of 147cm scare you off, a reverse folding leg design allows for a compact storage solution when travelling. Its 5-section legs are secured with flip locks and can be individually adjusted in both height and leg angle. One of the legs has a foam grip and can be detached from the tripod and connected to the centre column to form a full-sized monopod. Your terrain might be uneven but with a single bubble level, this support system helps to ensure your horizons are flat and a 90º notch makes placing your camera in portrait mode even easier too. Packing light is key for any traveller so a lightweight 1.85kg makes this a top competitor. 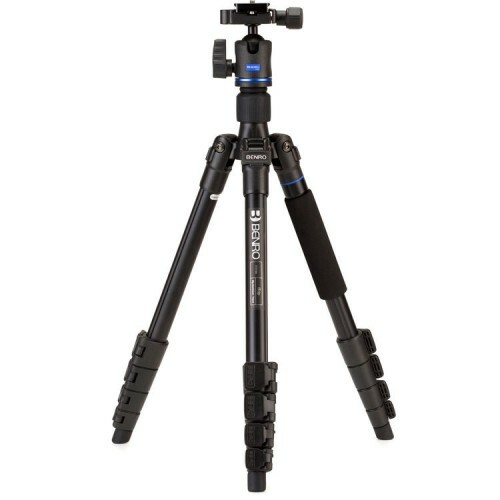 Better yet, it has all of the outstanding features of bigger and more expensive tripods without the added weight. A payload of up to 16kg breaks away limits heavier equipment might bring. A folded length of only 46cm supports easy travel, and a maximum height of 1.65m allows more photo opportunities. A 90º centre column allows you to go from vertical to horizontal setup without the use of any tools. Twist-lock legs with rubberised grips offer a fast and fumble-free setup and a removable ballast hook lets you hang additional weight from the tripod for increased stability. The PocketPod is small enough (boasting a folded length of 17.6cm) to fit in your pocket. It’s made of high-quality plastic with non-slip rubber feet that allow you to get instant stability for those spontaneous moments while you’re on the road. An integrated ball-head with quick twist locking ring ensures safety and allows for quick changing between horizontal or vertical shots. Each leg has two grooves for a more comfortable and secure grip when using as a handgrip for smartphones. With a load capacity of 1.5kg it also supports DSLR, mirrorless or action camera setups. 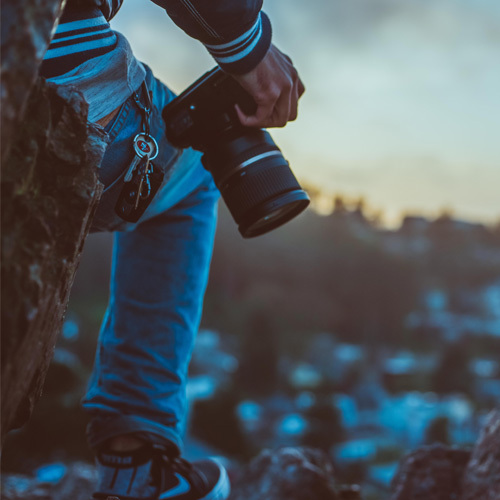 Don’t add unnecessary weight to your travels – opt for this 160g easy-to-use, lightweight tripod that extends to a maximum height of 13.5cm for more versatile shots.